This pen has been lovingly used. It does not come with box or papers. 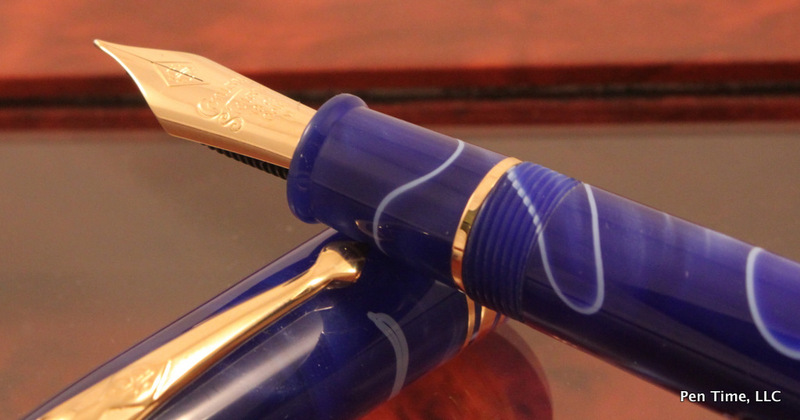 It is equipped with an 18k Extra Fine nib. 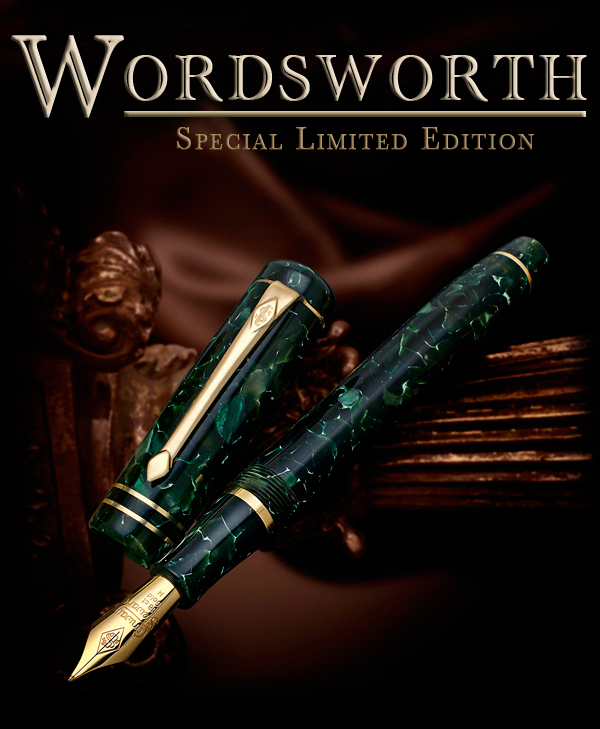 The Montegrappa Classica is a very traditional design that was introduced during the last few years of the original Aquila family ownership of the company that was continued and reissued while Montegrappa was part of the Richemont Group. 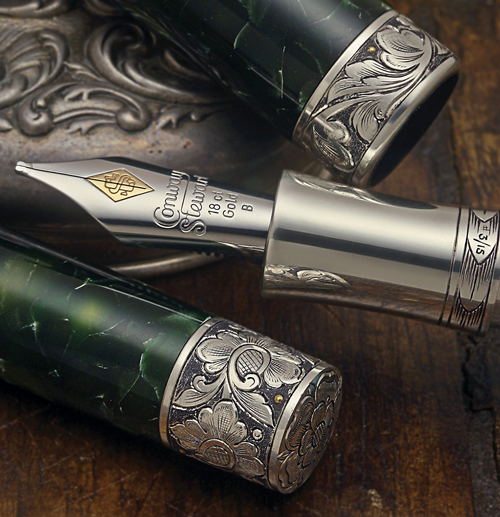 Montegrappa have combined celluloid and sterling silver in a sensuous curving form, each element perfectly complimenting the other to produce exquisite writing instruments.